This morning the Commissioner of the Environment and Sustainable Development issued her Independent Auditor’s Report on salmon farming. The audit looked at whether Fisheries and Oceans Canada (DFO) and the Canadian Food Inspection Agency (CFIA) manage the risks associated with open net-pen salmon farming in a manner that protected wild fish. The Commissioner identified risks of salmon farming, including the transfer of pathogens between farmed fish and wild fish, the effects of drugs and pesticides on farmed and wild fish, the consequences of fish escapes from net pens, and infestations of sea lice that can infect juvenile wild salmon making them more vulnerable to disease and predators. In a webinar on the audit, she stated that these are “all grave risks,” and of all the industry oversight audits she has completed as Commissioner, she has never been so disturbed as with the gaps identified with the Federal oversight of the aquaculture industry. DFO and CFIA has failed on virtually every count to manage these risks in a manner that protects wild fish. As a colleague succinctly summarized – this audit puts to rest any notion that Canada has a “world class” regime for the management of salmon farming. For example, the Commissioner found that DFO has not made sufficient progress in completing risk assessments for known diseases associated with salmon farming that may affect wild fish. Since the Cohen Commission recommendations were released in 2012, only one of 10 disease risk assessments has been completed, and we know that the process was seriously flawed. Moreover, DFO and CFIA are not managing new and emerging diseases. DFO was not monitoring the impacts of salmon farming on wild fish health. Key elements of measures to mitigate the spread of infectious disease and parasites from farmed salmon were found to be missing. DFO did not conduct adequate analysis to know whether its rules for drug and pesticide deposits at salmon farms would minimize harm to wild fish, nor did DFO define limits on the amount of drugs or pesticides that could be deposited, consider cumulative effects from multiple sites, or confirm the accuracy of information self-reported by aquaculture companies. DFO did not adequately enforce compliance with aquaculture regulations to protect wild fish. DFO’s long-term research funding was in conjunction with and in support of the industry, with only short-term research funding going to management and regulatory work. In her report, the Commissioner recognized the importance of wild salmon to Canada’s indigenous people, the importance of wild salmon to other animals, and acknowledged that several wild salmon stocks currently classified as endangered (and we know eight more populations of Fraser River Sockeye were recently recommended to be added) makes their protection even more important. Yet the Commissioner found that DFO has not clarified how it was using the precautionary approach to manage aquaculture, including that it had not set limits or thresholds for when to act to respond to declines in wild fish stocks in areas where aquaculture was prevalent. The Commissioner observed that transparency on the precautionary approach was particularly important given the Department’s commitment to advancing aquaculture, stating “without this explanation, the Department was vulnerable to claims that it prioritized, the development of aquaculture over the protection of wild fish.” We agree with the Commissioner that DFO needs to be upfront with Canadians and clearly articulate the level of risk to wild fish that it accepts when enabling the aquaculture industry. Our bet is that the risk DFO is prepared to take is higher than British Columbians are willing to accept. 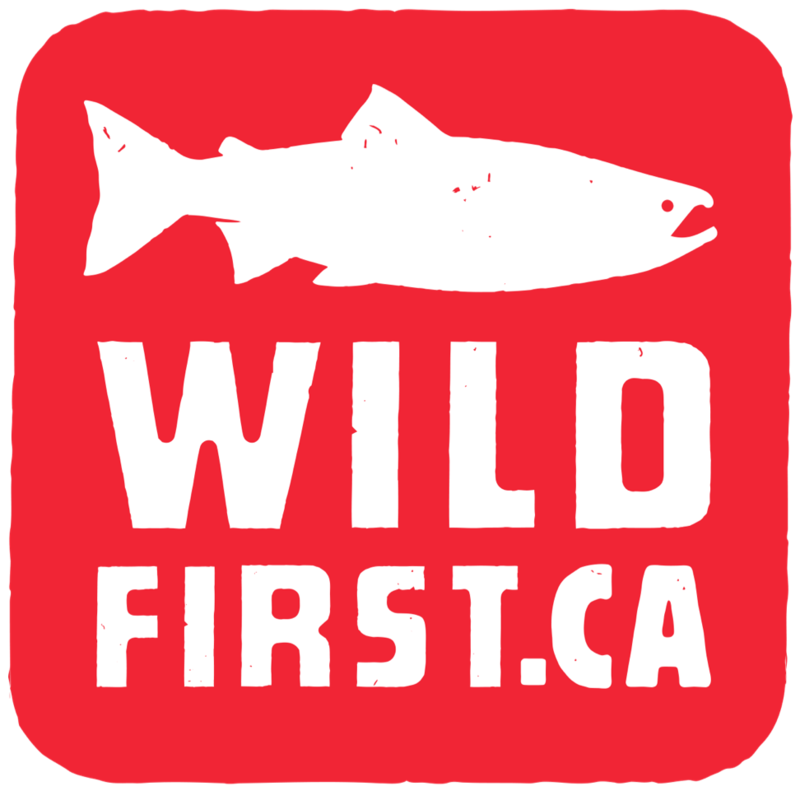 Join us today and help Wild First make this vision of sustainable and responsible salmon aquaculture a reality! Take action, tell your MP to help Protect Our Vulnerable Wild Salmon Populations.